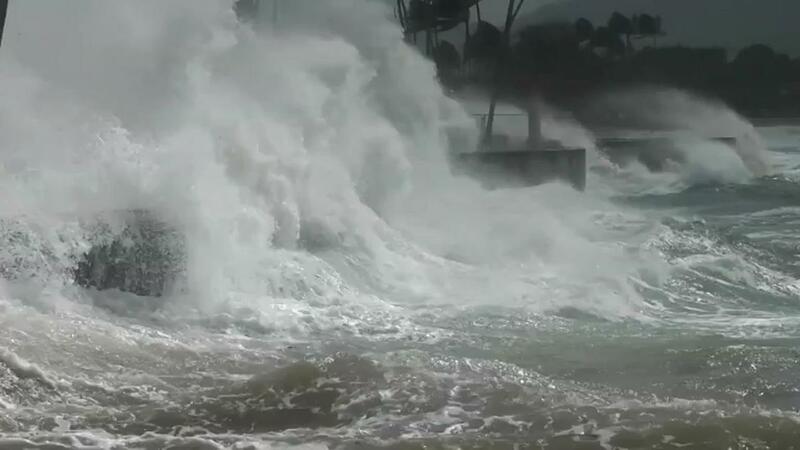 A storm with gusts of about 120 kilometers per hour traveled Sunday over Hawaii. On the island of Oahu, waves were seen up to a height of 18 meters. In some places those high waves led to flooding. And it snowed in a nature park on the island of Maui.